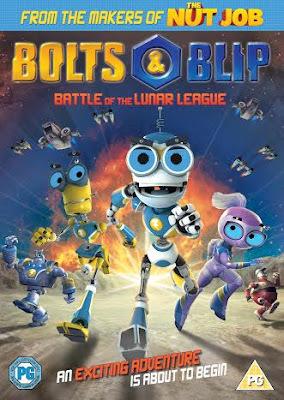 Bolts & Blip: Battle Of The Lunar League is released by Lionsgate Home Entertainment on 27th July - in perfect time for the Summer holidays. 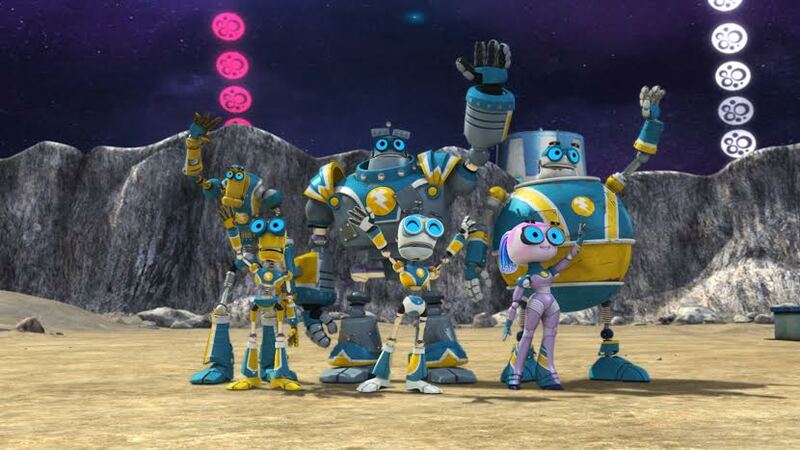 An animated children's adventure set in a future where the Moon is populated by robots. 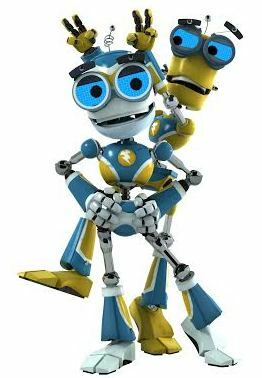 The robots are split into 2 types - cool and athletic BattleBots and the less cool and not at all athletic CiviBots, who really just take care of admin. 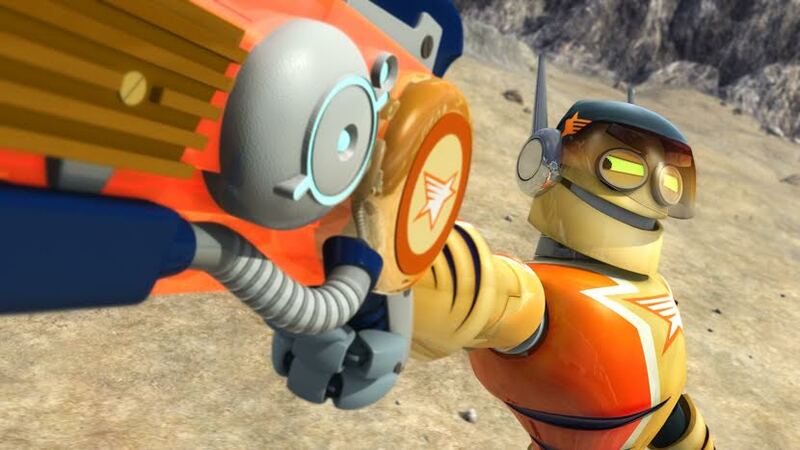 Until now no robot has ever managed to cross that line, but Bolts and Blip, two of the ordinary CiviBots are about to change that. Bolts and Blip have a burning desire to become BattleBots, and as luck would have it, they're drafted into the Thunderbolts team - who are placed last in the Lunar League Of Robotic Sports and in need of fresh team members. They have to prove their ability and beat all of the other teams - including evil Dr Blood and the Galaxy All-Stars - to become the champions. Bolts & Blip started out as a Canadian TV Show, but if you've never seen the show don't worry because during the first 2 minutes of the movie the background storyline is laid out really incredibly quickly. My 5 year old got lost, so we watched it twice, but it's mainly recapped or obvious during the rest of the movie anyway. This is actually a more tricky and mature storyline to follow, and as such better suited to 5+ in our experience, with a PG certificate and a fairly short full movie 74 minute running time. The animation is lovely and excellent quality, with a real movie feel. The robots are full of character and every scene is full of detail. This is a story about friendship and working together as a team. It's an action-packed buddy movie for children. Available from 27th July in all good DVD retailers, priced around £10. Lionsgate have very kindly offered a copy of Bolts & Blip: Battle Of The Lunar League on DVD as a prize for one of my readers. Entry is by Gleam form below. UK entries only please. The giveaway will end at midnight on 9th August. Please see the Gleam form for terms and conditions. We were sent our copy of the DVD for review. My robot would pick up rubbish after my daughter crafty play. It would mop the floors! My robot would have a great memory & strength. Super Speedy Hoovering and Washing up - A mum's Robot! Using it's mind-power to keep spiders away! Cleaning the cat litter tray! BBQing food to perfection. Hubby always burns things! The ability to drive a Ferrari F1 car quicker than a Mercedes - wishful thinking probably! At the minute a hoovering robot so I dont have to get off my bottom and do it! He'd be a brilliant cook because I'm not! help me to lost weight! exercise for me and tone me up! put the clothes away once they are washed. Weeding the garden - if only! His special skill would be to teleport me places so I don't get car sick. His special skill would be to teleport me places so I dont get travel sick. It would make Michelin star meals every night on a budget!! It would do my hair for me. it would do all the diy jobs - ill never need another man! I would like a robot who could be my chauffeur and take me shopping.